Bottom Line: A nice Tawny port for cocktails and dessert recipes. 90 • Alberti 154 2014 Bodega Calle, Malbec, Mendoza 14% (Argentina) $14.99. 83 • Alberti 154 2016 Rosé, Luján de Cuyo 13% (Argentina) $9.99. 93 • Antech 2014 Emotion, Limoux 12% (France) $16.99. 94 • Antech 2014 Cuvee Eugenie Brut, Limoux 12% (France) $16.99. 92 • Antech NV Tradition Brut, Limoux 12% (France) $14.99. 93 • Antech 2015 Emotion Sparkling Rosé, Crémant de Limoux AOC 12% (France) $19.00. 92 • Antech 2015 Cuvée Eugénie Sparkling, Crémant de Limoux AOC 12% (France) $19.00. 86 • Carlos Basso 2015 Dos Fincas, Malbec, Mendoza 14% (Argentina) $12.99. 87 • Carlos Basso 2015 Dos Fincas, Cabernet Sauvignon-Malbec, Mendoza 14% (Argentina) $12.99. 89 • Cruzat NV Sparkling Brut Rosé , Luján de Cuyo 12.5% (Argentina) $14.99. 89 • Cruzat NV Cuvée Extra Brut Sparkling, Uco Valley 12.5% (Argentina) $18.99. 88 • Dharma 2014 Petit Verdot - Malbec, Mendoza 14% (Argentina) $16.99. 91 • Domaine La Loyane 2017 Côtes-du-Rhône Rouge 14% (France) $16.00. 87 • Durigutti 2016 Malbec, Mendoza 13.6% (Argentina) $16.00. 80 • Durigutti 2016 Cabernet Franc, Mendoza 13.6% (Argentina) $16.00. 86 • Durigutti 2016 Cabernet Sauvignon, Argentina 13.3% (Argentina) $16.00. 82 • Durigutti 2015 Bonarda, Mendoza 13.5% (Argentina) $15.00. 90 • El Necio 2014 Syrah, Mendoza 14% (Argentina) $16.99. 91 • El Olvidado 2014 El Olvidado Reserva, Tempranillo, Mendoza 14% (Argentina) $16.99. 88 • Guerrieri Rizzardi 2015 Soave Classico DOP 12.5% (Italy) $12.99. 88 • la Mano Derecha 2014 Cabernet Sauvignon, Mendoza 14% (Argentina) $16.99. 85 • La Yunta 2015 Famatina Valley, Torrontes, La Rioja 12.5% (Argentina) $9.99. 85 • Litoral 2015 Sauvignon Blanc, Leyda Valley 13.5% (Chile) $14.99. 88 • OPTA 2015 Dao 12.5% (Portugal) $9.99. 88 • Opta 2016 Branco White Blend, Dao 12.5% (Portugal) $12.99. 83 • Opta 2014 Branco Red Blend, Dao 13% (Portugal) $12.99. 91 • Portal del Priorat 2013 Luno, Montsant 14% (Spain) $16.99. 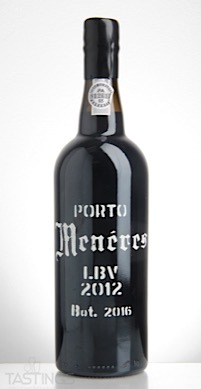 92 • Porto Meneres 2012 LBV, Douro 20% (Portugal) $18.99. 85 • Porto Meneres NV Fine White, Douro 19.5% (Portugal) $12.99. 87 • Porto Meneres NV Fine Ruby, Douro 19.5% (Portugal) $12.99. 89 • Porto Meneres NV Fine Tawny, Douro 19.5% (Portugal) $12.99. 88 • Porto Meneres NV Porto Fine White, Douro 19.5% (Portugal) $14.99. 87 • Porto Meneres NV Porto Fine Ruby, Douro 19.5% (Portugal) $14.99. 87 • Porto Meneres NV Porto Fine Tawny, Douro 19.5% (Portugal) $14.99. 88 • Vidigal 2014 Reserva, Vinho Regional Lisboa 13% (Portugal) $9.99. 86 • Vidigal 2015 Vinho Verde DOC 9.5% (Portugal) $9.99. 85 • Vidigal 2016 Vinho Verde DOC 9.5% (Portugal) $9.99. 87 • Vidigal 2016 Vinho Verde DOC 9.5% (Portugal) $9.99. 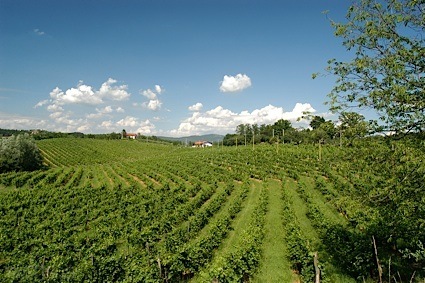 Tawny Port is a fortified wine named for its tawny color. It is most famous from Portugal, although the general term of tawny port is applied to any port wine with a few years of age in the cellar in wood, which alters the color from purple to tawny brown. They range from lightly sweet to medium sweet and are usually consumed upon release, as the aging has been completed at the cellars. Porto Meneres NV Porto Fine Tawny, Douro rating was calculated by tastings.com to be 87 points out of 100 on 3/13/2018. Please note that MSRP may have changed since the date of our review.